NMTrypI Consortium Members met for a 3-days meeting in Athens, Greece, from Monday, 14th November, to Wednesday, 16th November 2016. The meeting has been organized by our Partner NATIONAL HELLEMIC RESEARCH FOUNDATION (NHRF). The Coordinators and many representatives of the four projects, A-ParaDDisE, KINDReD, NMTrypI and PDE4NPD met in Modena, Italy for a 2-day meeting, from Wednesday, June 15th, to Thursday, June 16th 2016. The meeting has been organized by the four project consortiums and has been an occasion to disseminate the projects results to a broad public (scientific community and external stakeholders). The members of the Adivisiry Board attended the meeting. 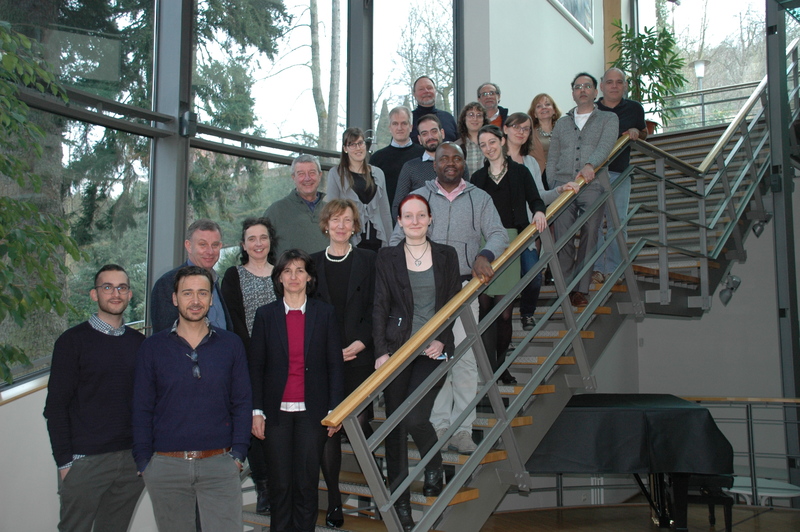 NMTrypI Consortium Members met for a 3-day meeting in Heidelberg, from Monday, March 14th, to Wednesday, March 16th 2016. The meeting has been organized by our Partner HITS - Heidelberg Institute for Theoretical Studies. NMTrypI Consortium Members met for a 3-day meeting in Hamburg, from Wednesday, September 9th, to Friday, September 11th 2015, to discuss about the progress made during the first 18 months and the next steps. The members of the NMTrypI Scientific Advisory Board joined the presentation of the project preliminary results. In order to strength the international cooperation with our brazilian partner National Center for Research in Energy and Materials (CNPEM) and the Brazilian research community on Neglected Parasitic Diseases, NMTrypI project organized the first Cross-Work Package Committee meeting at CNPEM premises, Campinas, Brazil. NMTrypI WP Leaders discussed during a two-day meeting, which included a guided visit to CNPEM facilities including the Brazilian Biosciences National Laboratory LNBio. 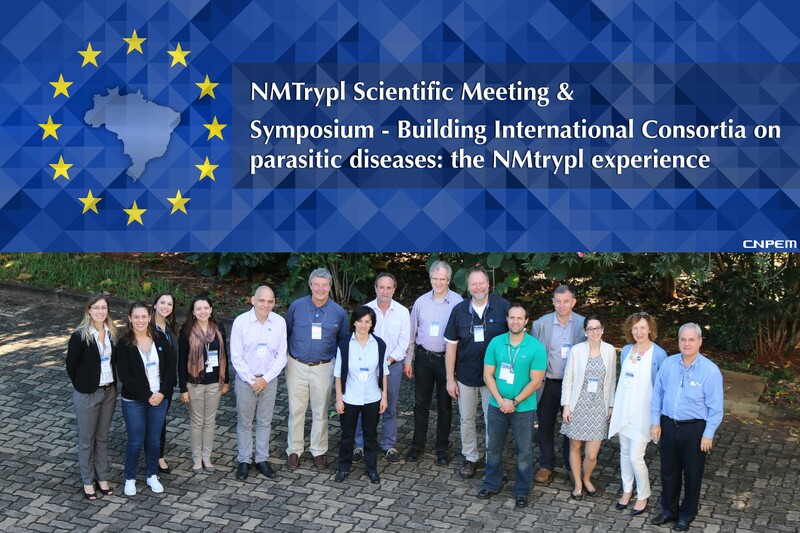 The meeting gave NMTrypI scientists the perfect opportunity to attend the International Symposium "Building International Consortia on parasitic diseases: the NMTrypI experience" in which they presented some preliminary results obtained by the project to Brazilian researchers and students. The first NMTrypI Consortium meeting after the KoM was organized by our partner Instituto de Biologia Molecular e Celular IBC at the Circulo Universitario do Porto, Portugal. 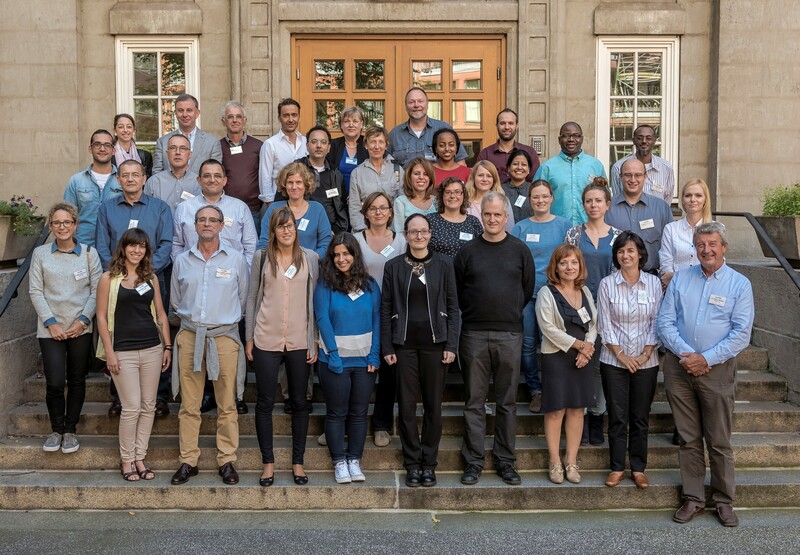 Representatives from all Consortium partners and Scientific Advisory Board members Dr. Eric Chatelain (DNDi) and Dr. José Miguel Coteron-Lopez (GSK) attended the two-day meeting. Duration: 2 days, September 18th-19th 2014. In occasion of the KINDReD and NMTrypI Consortium meetings, representatives of the Synergy projects A-PARADDisE, KINDReD, NMTrypI and PDE4NPD met in Porto, Portugal, to discuss about future joint activities. EC Project Officer Dr. Hannu Laang and several members of the projects'Scientific Advisory Boards also attended the meeting. The event was organized by NMTrypI Member Instituto de Biologia Molecular e Celular (IBMC). Duration: September 17th 2014, from 2 pm to 6 pm. 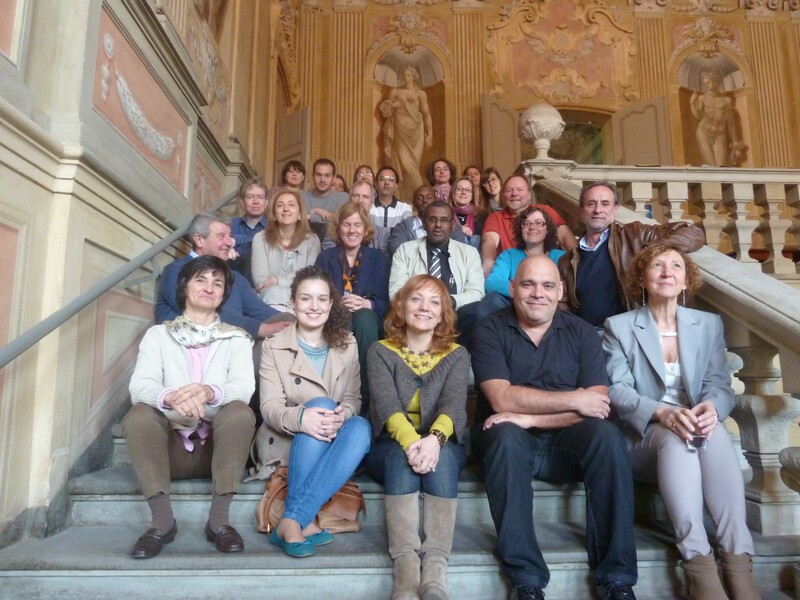 The KoM was organized be NMTrypI Coordinator, Università degli Studi di Modena e Reggio Emilia (UNIMORE), Dipartment of Life Sciences at its premises on March 12th-13th, 2014. Representatives from all Consortium partners were present. Duration: 2 days, March 12th-13th 2014.